he first few minutes of the conference were spent explaining the state of security on other consoles (Wii, 360, etc). Following this, the group went on to explain the current state of affairs on the PS3. First, explaining Geohot’s memory line glitching exploit from earlier this year. The team then went on to explain the current PS3 security bypasses, such as jailbreaking and service mode/downgrading. Approximately a half hour in, the team revealed their new PS3 secrets, the moment we all were waiting for. One of the major highlights here was, dongle-less jailbreaking by overwriting the bootup NOR flash, giving complete control over the system. The other major feat, was calculating the public private keys (due to botched security), giving users the ability to sign their own SELFs Following this, the team declared Sony’s security to be EPIC FAIL! The recent advent of these new exploits means current firmware is vulnerable, v3.55 and possibly beyond. It will be very difficult for Sony to fix the described exploits. The team then displayed the website http://fail0verflow.com/, where we assume they will host examples of the new exploits and further details. They stated, that easy to use tools would be coming next month. This is also why we didn’t use the term “exploit” or “bug”. The PS3 signature fail is neither an exploit nor a bug (in the PS3 firmware). Wii fakesigning vs. PS3 epic fail: Wii issue is a BUG in console code (fixable), PS3 issue is a FAIL in THEIR secret signer (not fixable). Prominent hackers Bushing, Marcan, and Sven took the stage at this year’s annual Chaos Communication Congress (27C3) to showcase their latest underground efforts on PS3. The trio describe Sony’s security measures as an ‘epic fail,’ pointing to the botched implementation of ECDSA. Apparently, the so-called ‘random’ number used to create the private key is always static. What does mean for you, the end-user? Well, it means that homebrew devs can essentially sign their own applications. The keys generated as every bit as valid Sony’s own official signatures. Full control means custom firmware is within grasp. What’s more, is that the feat is valid for all current firmware up to 3.55 and possibly beyond. During the ongoing Chaos Communication Conference 27C3, the hackers responsible for the Wii’s Homebrew Channel, calling themselves fail0verflow, gave a presentation in which they claimed to have figured out the “private key” used by Sony to authorize code to run on retail PS3 systems. This means, as a PSX-Scene forum post puts it, giving a hacker “full control of the PS3 system,” without the use of a USB device. our goal is to have linux running on all existing PS3 consoles, whatever their firmware versions. 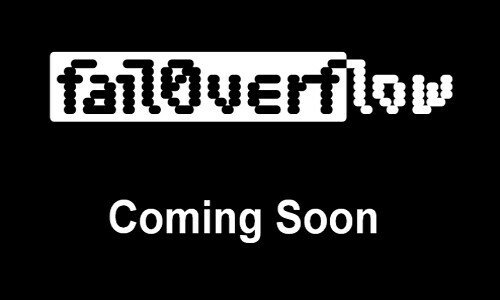 fail0verflow is the name of our ‘group’. We are a bunch of curious hackers who have been working on a bunch of things over the last 3 years. we only started looking at the ps3 after otheros was killed. There is absolutely no doubt in our mind that the PS3 lasted as much as it did due to OtherOS. The security really is terribly broken. Myth: Geohot -> Sony pulls OtherOS -> JB -> Fail. Fact: Slim had no OtherOS -> Geohot -> … . Geohot started his work due to the Slim. yes, we’ll release all our tools as soon as we cleaned them up in january or so.